Do we have to know how to sail? We always rent the boat with a boat master, so no, you don’t have to know how to sail. The captain is always on board, and under his supervision, you can take over the wheel. How many persons can be on board? You can easily be on board with 8 persons, skipper not included. When you are with a larger group, this is not a problem. We appeal on colleagues, and use extra boats. We arrange the administration ourselves. Under the supervision of their parents or guardian, children are surely welcome on board. A life jacket is provided and acquired to wear. By causes of hygiene, animals are not allowed on board. Can we bring our own beverages on board? During the trip we can provide you with cooled beverages and nibbles on board against reasonable prices. If you have any specific wishes or commands, let us know. Can we bring our own picnic on board? We have some nibbles on board, but we don’t serve any meals. So you can surely bring your own lunches on board. Can we go out sailing every period of the year? We can sail from March till the end of October. During the winter the boat leaves the water for maintenance. What happens when the weather is really bad? When the weather is really bad, it rains, or there is a thick fog we do not sail out. At least one day in advance we decide by mutual agreement to move the arrangement to a later date, free of charge. What is the velocity of the boat? 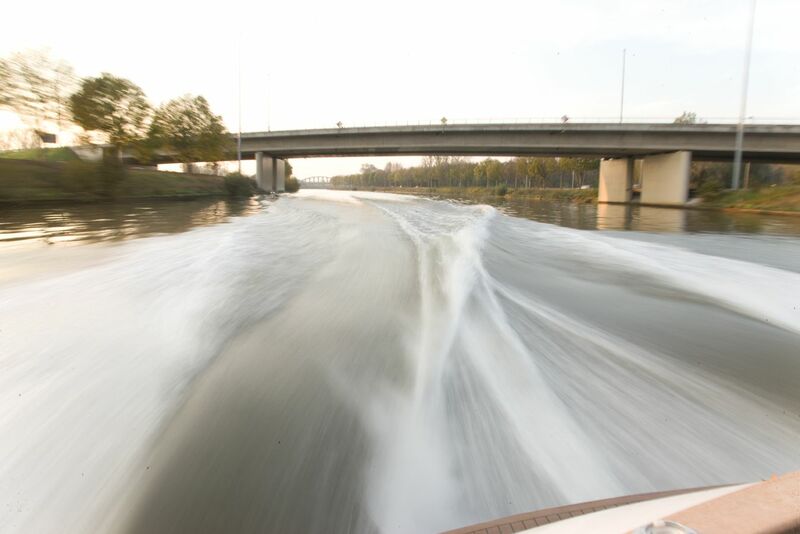 Just like on the road , every waterway has its own limitations of speed. At the touristic Lys we can’t produce waves because the shores are not consolidated. So the skipper adjusts its speed. At the ring canal we can push off the velocity. When do we need an extra crew member on board? When there are locks on our trip (only in the day trip), there is need for an extra helping hand. Mostly we ask our guests to help a little with the ropes, when this is not an option we have to provide an extra crew member and additional costs. What is included in the price of the formulas? In contradiction to other companies, we have an all-inn price! This price includes fuel, boat master, taxes and VAT. So you will never have an unpleasant surprise afterwards. Only the beverages, the refreshments on board and the costs at the restaurants are not included in the price.